If you enjoy French food, it is likely you have heard the term palate cleansers. The French coined the term, and even today they are an essential part of some French cuisine. Palate cleansers are designed to remove any lingering flavors from the mouth so that the next course may be enjoyed with a fresh perspective. The French also use them as an important digestive—to avoid heartburn, indigestion, and to stimulate the appetite. Palate cleansers originated in France and have been adopted worldwide. There is little written on palate cleansing during a sumptuous, multi-course French meal. Instead, it has become something of a tradition, passed from generation to generation. Each region has a special ingredient, usually a locally produced product that the locals swear by. Sorbet is the most frequent palate cleanser and the one most adapted worldwide. 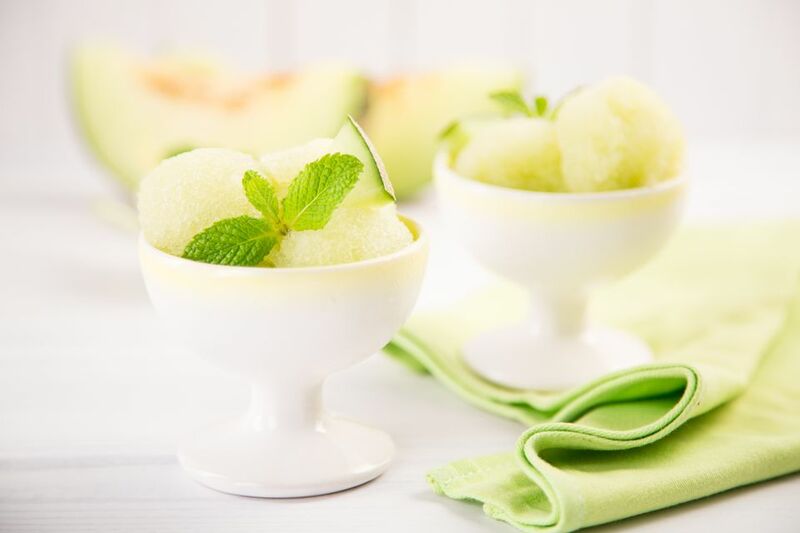 The sorbet should be sharp in flavor, not sweet, as it is the combination of the cold, crisp and sharp flavor which works so well on any grease or strong tastes. In Normandy, locals rely on apple brandy as a digestive called Le Trou Normand, or the Norman break. The drink is a fiery shot of Calvados in the middle of the meal which can more often be served as a sorbet than a hefty shot of alcohol. Both hit hard and fast and are effective as palate cleansers and appetite stimulants. Choose something with a clean, bright flavor that leaves little or no aftertaste. Neutral flavors usually work best for this purpose, but a menu with strongly flavored dishes begs for a unique—and perhaps equally bold—palate cleanser. Experiment with your own menus and soon you’ll know enough to impress your friends and family with your culinary ingenuity. These old age tricks have worked for a long time and continue to be effective today. Palate cleansers are also known as entrements, Trou Normand (in Normandy), Trou Bourginon (in Burgundy) and remise en bouche. Not all small dishes served between courses are palate cleansers. An amuse-gueule, amuse-bouche, entremet, or intermezzo are there also to slow down service from the kitchen or for the chef to show off a little more than is available with the main plates.